Leave a Comment on What the f#$ck is content marketing? What the f*$ck is content marketing? An SME's journey to get ahead of the curve in the modern marketing landscape. So in a past life I worked as an innovation researcher / writer, you know back when innovation was the buzzword of the industry and meant anything from true disruptive product development or distribution strategy to just another agency attempt to differentiate themselves from the pack. I worked at the geek end of it, looking at data and stats and writing future scenario platforms to help product development teams springboard into new ideas. I travelled incessantly and blogged religiously. I think at one point I had like 6 blogs going at once to see which business ideas would develop into something interesting. 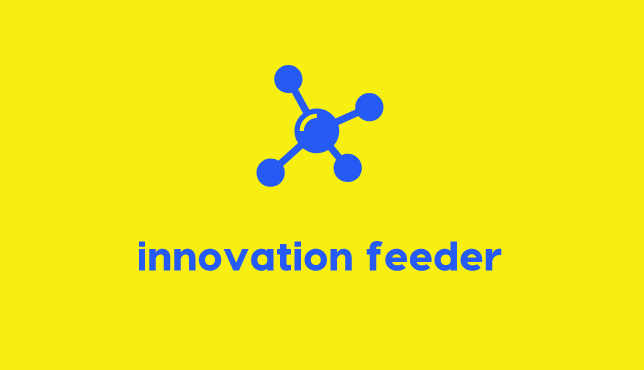 Needless to say, Innovation feeder was my dumping ground for things that really interested me – less about getting followers and more about getting smart. Anyway to cut a long story short I left all that behind and joined my partners (two of them are my business partners but only one of them is a life partner, just to be clear) in growing our current business. So that’s where I’ve been hanging out for the past 8 or so years working on everything it takes to run a small business – from recruitment, to franchising, training staff, finding good people and then wondering how the hell we were going to keep them. Running sales meetings, setting KPIs and generally plugging my finger into whatever business hole happened to be leaking that week. Such is the life of the SME. And I brought three small men into the world. What can I say? I’m a good multi-tasker. Anyhow, it took us about 4 years to dig ourselves out of the financial crisis and grow the business to a point where we could stop doing everything ourselves which as any SME will attest to, is a quiet and quite solo but majorly huge moment in time. So what the f#$ck is content marketing really when it’s not at home? The second question was “What the f#$ck is a martech stack and where do I buy one?” but more on that later. I mean, we’d had a blog for our business for years for search rankings and to try and educate and support the consumer decision making process. We’d also been publishing a lifestyle newspaper every year for the past few years, we’d also done loads of quick and dirty shoots and a small film so unbeknown to me, we had been “content marketing”, but still the question remained. Did I really understand what all the fuss was about? I’d heard of the content marketing institute. I’d read blogs on content marketing and content strategy, I knew a little bit about SEO and the importance of topics and editorial calendars but like many SMEs, I didnt’ have the knowledge to easily prioritise and therefore focus on the best way to spend my precious time in this new content marketing space. The good news is that it seems to be true, we’ve already been kind of doing a form of content marketing for some time. The bad news is that the last three days have highlighted that we need a plan, a framework, some actual objectives that can be measured and generally a bit more robust thinking than my fly-by-night-throw-it-all-at-the-wall-and-see-what-sticks approach. However in my defence, lots of content marketers here spend their whole lives doing this but as an SME, this is one of many things we have to get our heads across around and execute or manage, amongst other equally pressing things. So I thought I would bring out this old blog I used to be permanently attached to, dust it off and use it to summarise key learnings as we move into this new modern marketing era and most importantly, what it means to be a modern SME marketer in todays world. And she’s back in the room. Previous Entry what does innovation mean in education?